The first issue. Feel free to download your personal free copy! This is a new English e-Magazine about WTCC, TCR, DTM, ETCC and Blancpain. 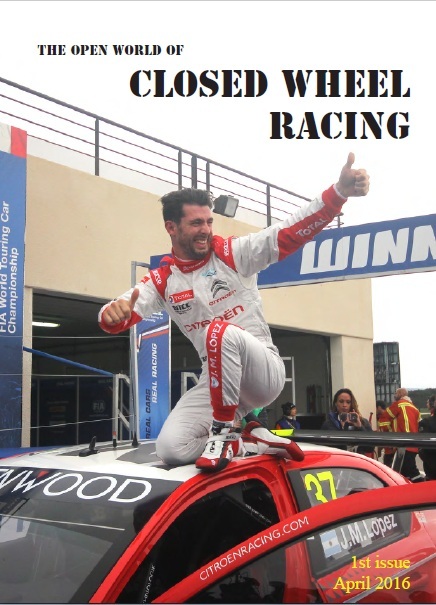 According to our plans this magazine will come out in every 6 weeks, writing about the open world of closed wheel racing. And beside these thematic sections we write about other interesting cases around the touring car and endurance world. At the end of every issue you can find the official race reports and results from the press releases of WTCC, TCR, ETCC, DTM and endurance races. The first issue is free, but if you liked it, don’t forget to visit our Facebook or Twitter page and order the next issue. Please feel free to share it with you friends!